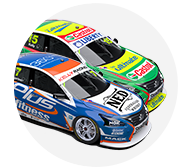 Brad Jones Racing has moved into the lead of the 2019 PIRTEK Pit Stop Challenge, a third of a way through the regular season. Tim Slade's Freightliner Racing crew sits atop the order following the Saturday race at the Tyrepower Tasmania SuperSprint. The #14 was second in the order after the opening two races at Albert Park, behind Kelly Racing's Andre Heimgartner entry, but now leads. Slade's time from pit-entry-to-exit on Saturday at Symmons Plains was 35.7834 seconds, the fourth-best in the field. 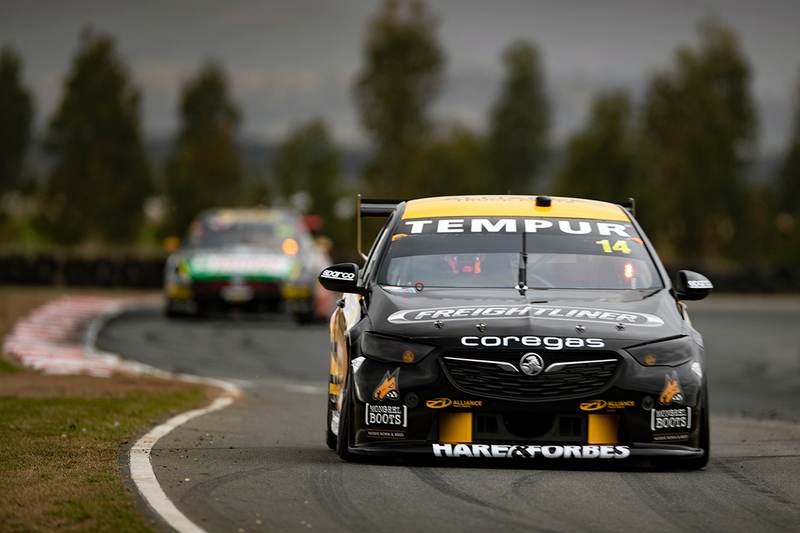 It means his crew moves to 65 points and a five-point advantage over a pair of Tickford Racing entries after three of the nine points-scoring races. 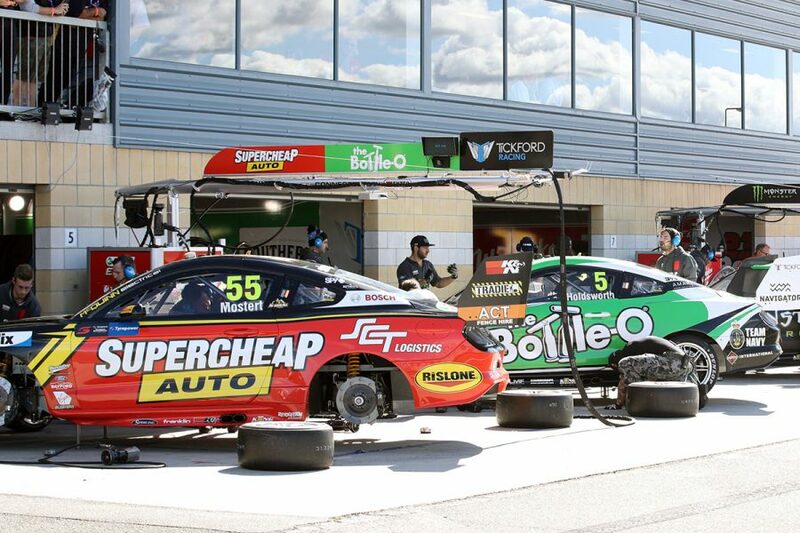 Following the last at Tailem Bend in August, the top four teams will contest a televised grand final at the Supercheap Auto Bathurst 1000, vying for the $20,000 major prize. The defending winner, Scott McLaughlin's #17, though, remains at the foot of the order. 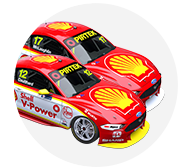 Shell V-Power Racing's Mustangs of McLaughlin and Fabian Coulthard finished the race first and second, but were only 17th and 16th-fastest through pitlane after slow left-rear changes. 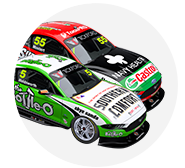 Tickford Racing's Chaz Mostert and Lee Holdsworth crews are second and third in the overall standings, both on 60 points after three races. The pair, who share a garage, personnel and boom in pitlane, took third and fifth in the Symmons Plains order. 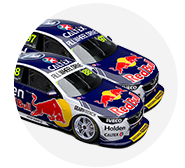 Fastest of all was Jamie Whincup's #88 by a commanding 1.683s, on a day he finished two laps down after early contact with Mostert. That was helped by the Red Bull Holden Racing Team only changing two tyres, rather than the otherwise-standard four, during a late pitstop. 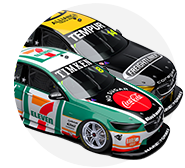 Whincup's crew is fourth in the order, ahead of three Kelly Racing entries; Heimgartner's #7, Rick Kelly's #15 and Simona De Silvestro's #78. Kelly was second in Symmons behind Whincup, and erstwhile leader Heimgartner 12th. This Saturday's WD-40 Phillip Island SuperSprint race is the fourth of the nine PIRTEK Pit Stop Challenge preliminary rounds.